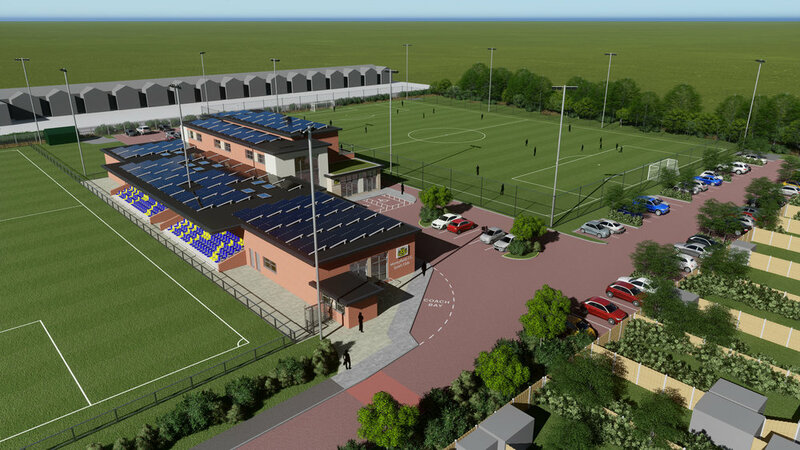 Recent planning approval for proposed redevelopment of Moneyfields to provide new Social Club and Sports Facilities Building including offices, Artificial Grass Pitch, floodlighting and spectator stand, car parking and external works. Residential development comprising 12 No. four bed dwellings and 14 No. one and two bed apartments with associated car parking, cycle and refuse storage.